Are you looking for awesome 2019 prom themes? Are you stuck? Tired of the same old ideas? Have no fear -your prom can be incredible. 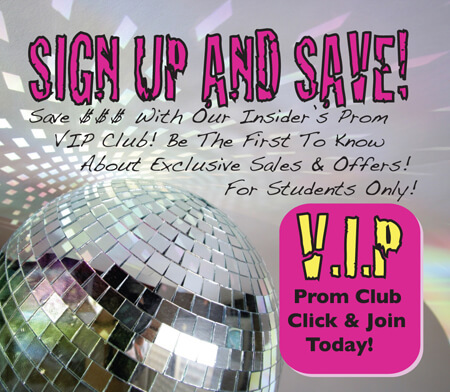 It all starts with picking an awesome prom theme! It’s time to roll up your sleeves, and start planning for the biggest bash of them all. Here are five new ideas for 2019 prom themes that have tons of potential. So ditch the boring, the tried, and the true. Dare to be different, and as a result, you will have a prom that people will talk about for years to come! 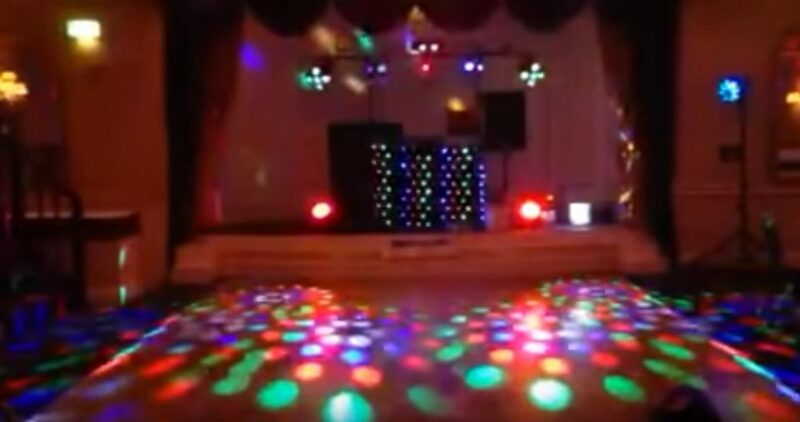 Disco lighting ideas to make your 2019 Disco Prom Theme come alive! Who doesn’t love Disco? It’s the kitschy cool dance movement that your parents, and maybe even grandparents jived and danced to. Think John Travolta, That 70’s Show, and boot cut jeans. Flashing lights, and pulsing music all come to mind. This year, why not choose Disco Fever as your 2019 Prom Theme? Decorate with disco balls, and colored strobe lights. Work with your AV club, and have the underclassmen put on a syncopated light show. Inexpensive silver streamers, and multi-colored backdrops will transform even the most boring of spaces into a club straight out of the 70’s. Mirrors (also super inexpensive) will help transform the space, and make it feel bigger. They will also help bounce around the lights (don’t forget the neon), and make the party come alive. Disco Fever is one of our top picks for a budget friendly, awesome 2019 prom themes idea. Whether it’s King and Queen, Fairytales Can Come True, or Enchanted Evening – you can never go wrong with a Disney themed prom. Plan on larger than life decorations to turn your prom location into a magical dreamland. Coordinate with the school theater group, and enlist their talents to use Chicken Wire to create the base for topiary inspired decorations. Does your school have an active artist’s program? Ask the art teacher if a lesson plan could be created around the art students drawing or painting characters from your favorite Disney movies and shows. Have the 3D images be large enough to create an arch, so that during the Grand March, couples could walk under all of their Disney favorites. Lighting- think lots of white twinkle lights – will set the tone for your enchanted world. You can’t go wrong with Disney®. It’s cool enough to be on our top list of 2019 prom themes. Also known as a Black and White Ball, it’s always in style! Think black and white films as your inspiration – a nod to old Hollywood, and the romantic side of things. Very fancy in its nature, this is the party that is elegant, and dramatic at the same time. Decorations of course, should be exclusively black and white. The focus here should be on old school glamour. If your school is willing to go along with it, how cool would it be if the dress code was black and white as well? This is not necessary, but would be really cool looking if it worked! A Black and White Ball sets the bar high for an awesome 2019 prom themes pick! 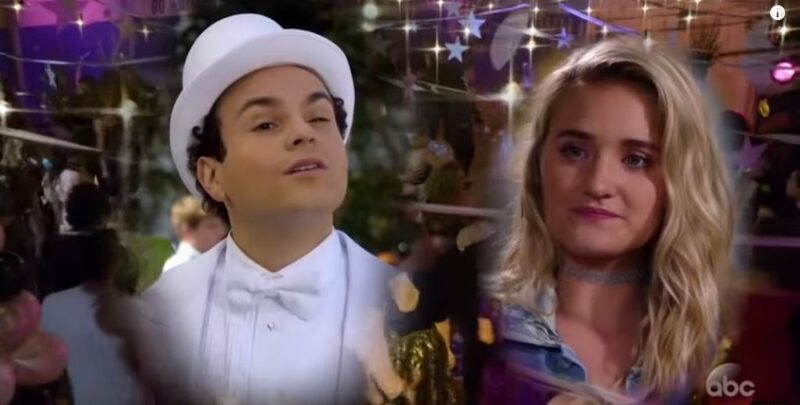 From one of our favorite shows, The Goldbergs, Barry and Lainey go to prom. Almost 30 years later, and we still have a love affair with the eighties. Shows like The Goldbergs remind us about what was so cool about this decade. It was the beginning of music as we know it, fashion, and of course, MTV! There is no shortage of inspiration for an 80’s themed prom. Use multimedia and screens (or even sheets if you are on a budget) to project a montage of 80’s themed movies in the background of your space. Neon decorations are king for this 2019 prom theme, and give an award for the biggest hair of the night! The 80’s were fun, and there is no limit to things that you will find that can inspire you for this 2019 prom themes choice. Doesn’t the phrase even take you to a place in your imagination? Think Harry Potter® and unicorns – fairies and nymphs. Whatever would live in your magical forest could be brought to life in with this epic theme. Huge tree cutouts, or even live plants (check with your local nursery, as many have plant rentals available) can fill out your space. Again, use white twinkle lights to set the mood, and dim lighting. Suspend fairies from the ceilings, and choose invitations with glittery unicorns. Your job with this theme is to embrace the magic, and what better way than to have the Forbidden Forest as your 2019 prom theme! There is no shortage of magic in this 2019 prom themes choice. We hope that you have enjoyed this list of our top five 2019 prom themes. Happy planning, and remember to shop Christine’s Bridal & Prom for all of your prom dress needs!